Music streaming apps are aplenty these days but when it comes to choosing an AppRadio compatible app the choices are not many. 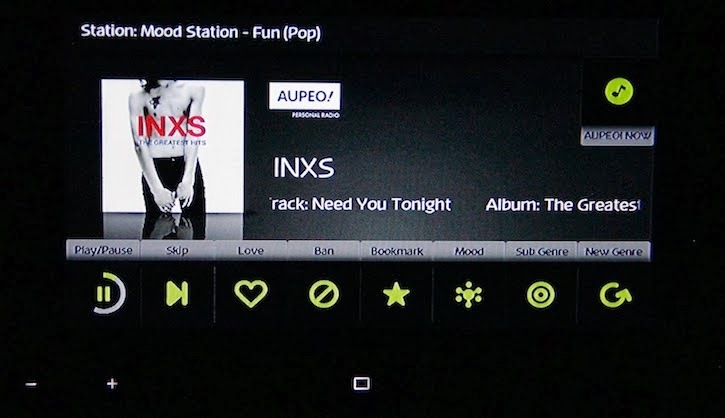 Apps like Rdio are no longer compatible with Pioneer's head units. Although Pandora seems like the obvious frontrunner, there are a few other apps to chose from. AUPEO! 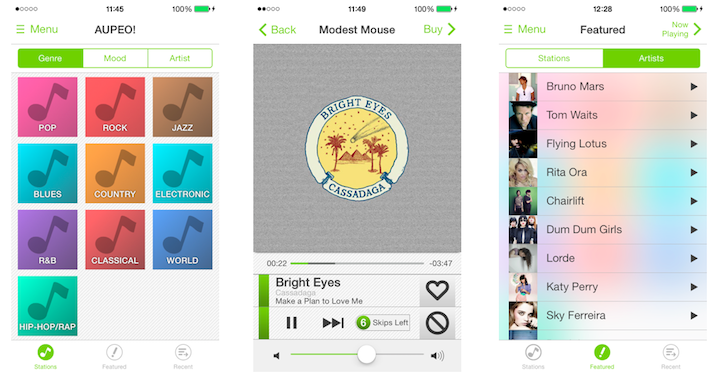 Radio is one of the few AppRadio compatible apps that is available for both iOS and Android. And it is a decent alternative to Pandora even though there may be a few missing artists in their catalog. The app works great with the AppRadio. And recently an update has revamped the design, making it look even better than before. Note: The pic above is of the old interface. Here is the app description regarding the latest update version 4.0. The app is called AUPEO! Personal Radio on Android.